After managing to find a pack of the perfectly rectangular Guadalupe mango strips she recommended, it was off to the kitchen for me. Armed with a pack of chocolate chips and a microwave-proof bowl, I went off to discover magic in the marriage of mango and chocolate. Nuke and stir. Nuke and stir! Next, I opened a pack of the dried mangoes. After seeing the perfectly rectangular shapes, I understood why it was recommended. It’s an obsessive-compulsive’s dream. Plus, it was a good combination of tart and sweet, without the fibrous bits you sometimes get from regular dried mangoes. Then, it was dunk, flip, then lay down on a wax paper-lined surface. After a few pieces though, a thought came to mind. Since I’m doing this anyway, might as well have fun. The next few strips, I dusted with Pink Himalayan Salt. Then, for the last few, I mixed some crushed dried Siling Labuyo in with the chocolate. Three variants in one mad experiment. Why not, right? I slipped the batch for a quick chill in the freezer, just long enough to let it set, then took experimental nibbles. The chocolate-covered was a tad too chocolatey for me. 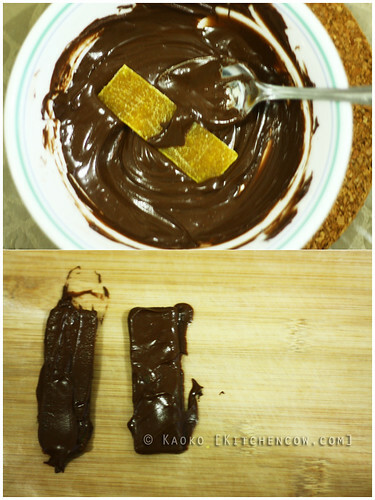 The chocolate overpowers the mango strips. 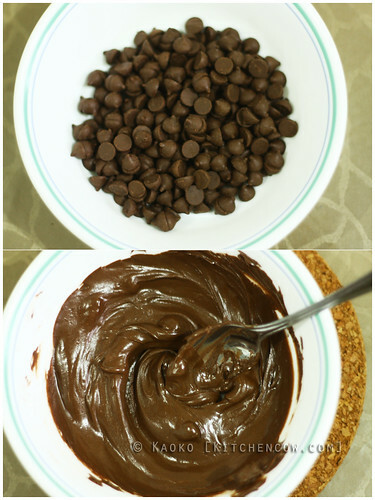 I think instead of dipping, I should just smear the chocolate on one side. The siling labuyo was more interesting. The slight kick was only noticeable near the end. Next time, I’m definitely adding more. But the clear winner was the salted chocolate one. 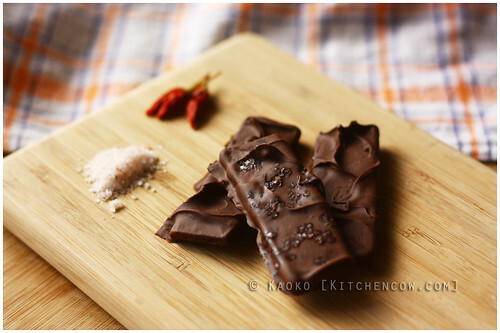 The salt countered the sweetness and brought out not just the chocolate, but the mango flavors as well. I regretted not adding salt to all. Ah, chocolate-covered fruit heaven. How lucky was I? Not only do I live in the country where you can find the world’s best mangoes (dried and otherwise), I also get to eat the fruits of my labors. Happiness is a chocolate-covered (salted!) mango strip. This entry was posted in how-tos, recipes. Bookmark the permalink. I’ve been following your blog for a while now and I was pleasantly surprised to see that you are also part of the Mommy Talk group on FB. Ano ba! Kaya mo yan, Bea! 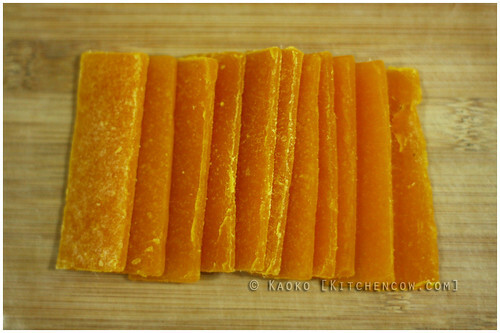 Kao, I’ve received some of those choco covered dried mangoes, and they’re not entirely covered with choco. Maybe only halfway or a tad more. Also try with white choco. Yum! Theory proven. I’ll do the half-covered thing next time. But really, the salted version is divine. I am planning on shipping them out as a holiday present and wondering how long these delicious pieces of heaven would last.